Sage has continued to develop Sage 200 in recent years making it more powerful and flexible than ever, upgrading your Sage 200 software to the latest version brings a host of benefits to your business. Sage 200 upgrades add new features, fix software bugs, increase productivity, reduce IT costs and increase user adoption rates. Many companies believe that upgrading Sage 200 to the newest version is a costly and time-consuming process. In fact, updating to the latest version will have likely fixed annoying bugs or glitches in older versions, which will save users time and alleviate their frustration and in turn saving money in the long term. When software grows outdated, issues start to become increasingly obvious. The system is slower, it has software bugs and becomes more frustrating to deal with on a day to day basis. Updating Sage will improve processes and performance, which saves users valuable time. What's New in the Latest Version of Sage 200? The new version of Sage 200 is designed around three key themes: simplicity, improved customer experience, and better-connected data. Since its launch in March 2007, there have been over 15 major releases and updates for Sage 200, many of the older releases are no longer supported which means that there is no technical support, no developer support, no legislative updates and no fixes for bugs. Many organisations choose to upgrade to the latest version of Sage 200 to take advantage of new features whilst ensuring they are using a fully supported environment. 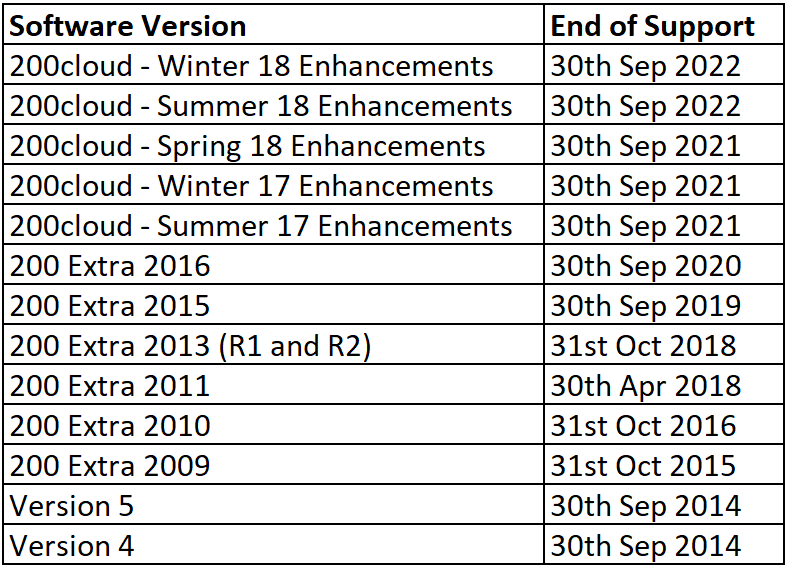 This table details previous versions of Sage 200 and the end of support date, this helps you plan updates ensuring you are always using the latest version. We help many sites make the transition to the latest version of Sage 200, we are familiar with all previous versions so that you can be ensured the transition will be as seamless as possible. 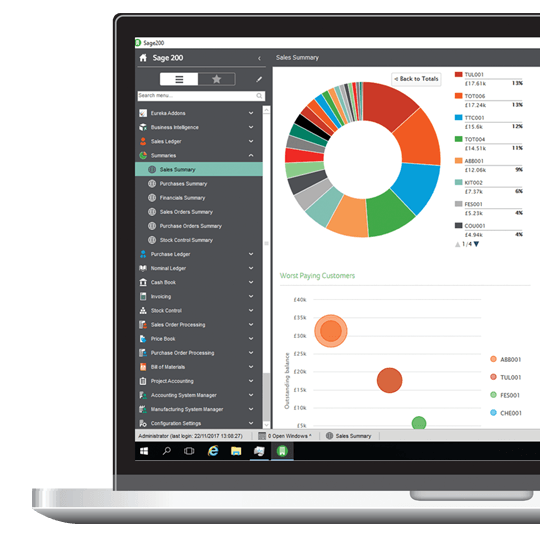 Many Sage 50 users upgrade to Sage 200 because of company growth, the need for more advanced functionality and increasingly complex business processes that put pressure on their existing accounts software. Common changes undertaken by Sage 50 customers include increasing their employee numbers, expanding their product range and placing more emphasis on trading with overseas clients, changes like these are the trigger to upgrade to Sage 200. Upgrading to Sage 200 from Sage 50 is a natural progression for many organisations as both systems have a similar look and feel, so user adoption is very high. 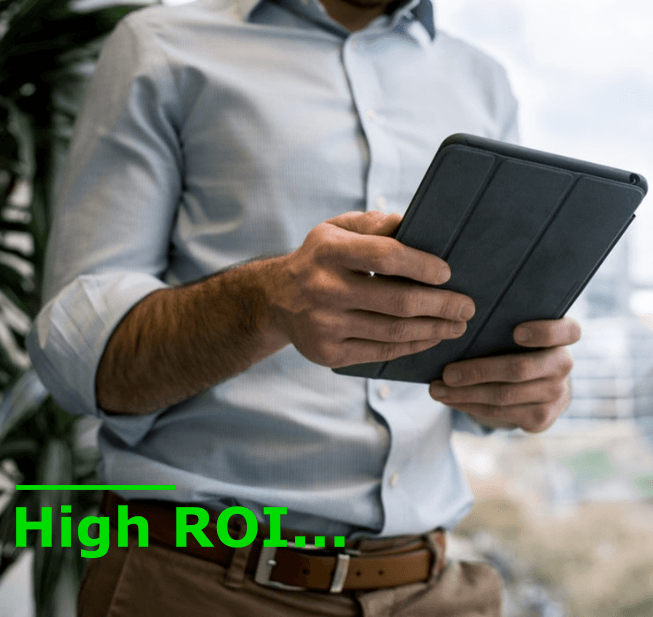 The cost of upgrading to Sage 200 from Sage 50 will vary as it is dependent on the version of Sage 200 you decide to go with. Sage do offer financial discounts for migrating Sage 50 users. Many companies want to upgrade to Sage 200 from competitive accounting systems because they require improved flexibility, enhanced functionality, access to advanced features and a modern user interface. AlphaLogix has helped numerous companies upgrade their existing accounting system to Sage 200, our qualified consultants will manage all aspects of data transfer, implementation, configuration, training, and technical support. Sage often offers incentives for organisations moving away from a competitive system, this helps reduce the initial license costs. How Much Does It Cost to Upgrade Sage 200? 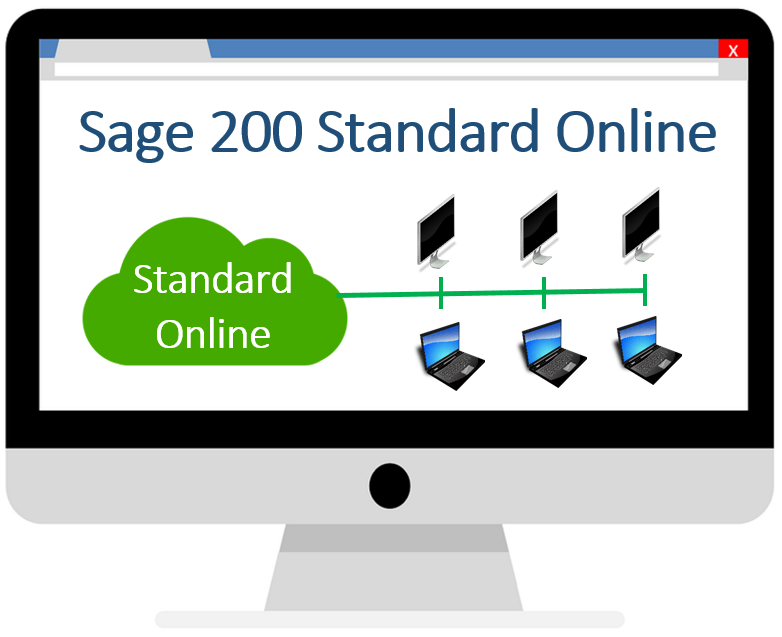 The cost of Sage 200 upgrades can vary depending on the version of the software you are using, it also depends if you are using the on-premise version or online version. Upgrade costs for Sage 200 online - Software updates are automatically applied free of charge for online users of Sage 200 who are on a subscription plan. Sage 200 on-premise upgrade costs - Organisations who pay the annual support and maintenance charge (known as services) will not have to pay for any software updates, your business partner will normally apply a charge for time and expenses to upgrade the software. Organisations that use unsupported versions of Sage 200 or use line100/MMS might have to purchase the licenses again before upgrading. We have offices in Chepstow, London and Hampshire, with Clients spread throughout the UK. Our Head Office is based near Bristol and this is where we provide most of our training.